Two elegant studios in villa with private bathroom, living room, kitchen, and private terrace offers to host to a maximum of 6 persons. 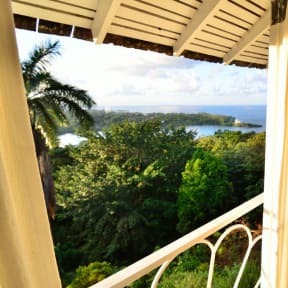 Strategically located, this villa is only 3 minutes drive to Frenchman’s Cove Beach, 5 minutes to the Blue Lagoon and 10 minutes to the Port Antonio center. 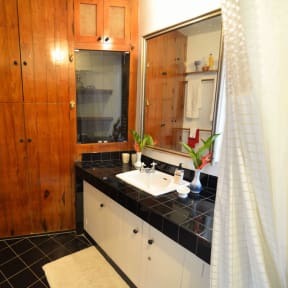 The Fan Villa offers to host to a maximum of 6 persons. Full assistance on site. We will assist in all your transfers and excursions. Full staff service. The pleasure of a real holiday. Enjoy and rejuvenate with our Jacuzzi-Cocoon. Several outdoor terraces invite you to dine, unwind and relax while savoring idyllic tropical views. Immerse yourself, for nature’s therapies abound just outside your door.